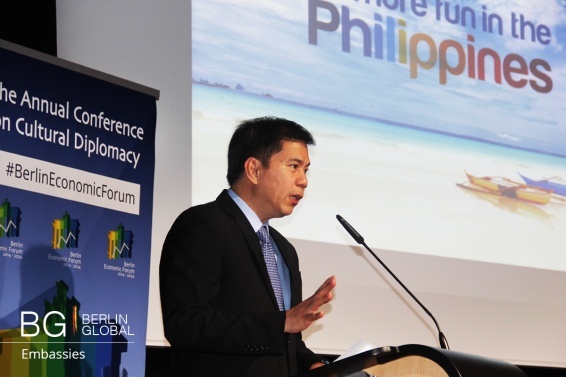 On March the 9th, during the first day of the Berlin Economic Forum 2016, at 2 o’ clock Mr. Benito Bengzon, Deputy Minister and Tourism Undersecretary of the Philippines gave his Keynote speech entitled: “It’s More Fun in the Philippines“. The speech started with a fun and entertaining video of the Philippines, by showing the country from different points of view. The film was full of beautiful colours and music, and looked to highlight the diversity and duplicity of this folkloristic country characterized by more than 7000 islands. This variety is emphasized also by the biodiversity this country possesses; white and grey sand beaches, more than 400 different coral kinds, 12,000 different plants and many different fish and animal species live there. After this film presentation, Mr. Bengzon took to the podium, and started to talk about the idea of innovative nation branding according to the Philippines. During the last years both individual and collective work has been done in order to foster tourism investment initiatives. 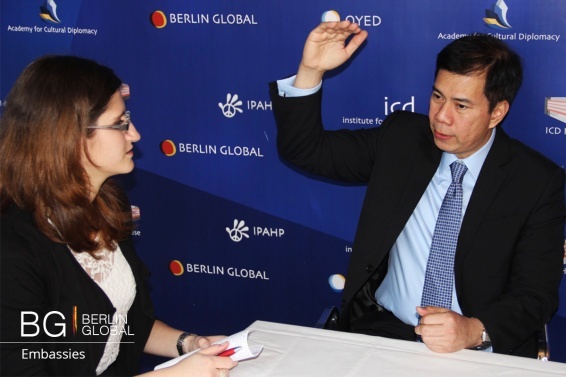 Mr. Bengzon explained that four years ago the campaign ‘It’s More Fun in the Philippines’ was launched. This campaign started from a very simple question; why should visitors come to the Philippines? The goal of this campaign was very simple: improve the country’s image and bring a new pride and voice to the tourism industry of the Philippines. What Mr. Bengzon wanted to emphasise was the importance and contribution the Philippino people made towards this campaign. When they started they didn’t have a lot of money for a proper advertising campaign or funds to publicise it, they were also unsure as to how the public would received it. In fact, it was very successful and in 2014 it was voted in third place from the world’s one hundred best marketing campaigns according to the Marketing Intelligence Service Work. Today the campaign is increasing in size, the aim of the first two years was to increase the level of awareness of the country. From the third year onwards is the power branding phase which started to focus on specific destinations such as Manila, Cebu, Baracay, Bohol, Danao and Palawon. All these different places have their own and unique attractions so that every desire for a tourist can be met. Tourism in the Philippines is today one of the major contributors to economic growth, only last year more than 5.3 million visitors came to the Philippines, this has contributed to a growth rate of over 11%.